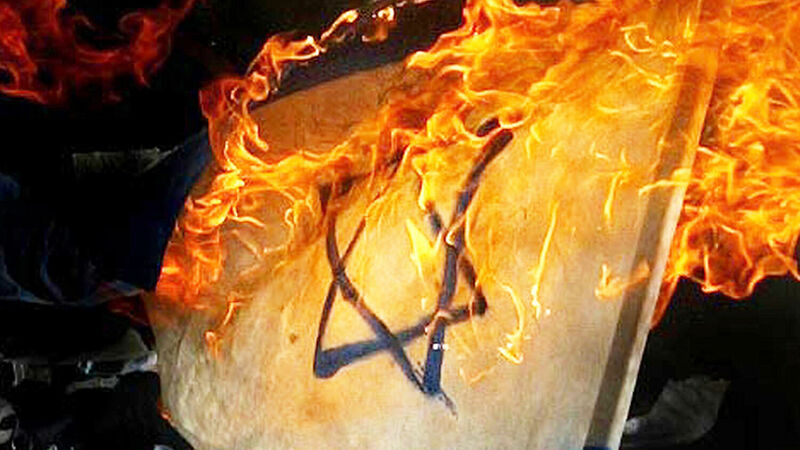 The Israeli flag is burned by Palestinian militants during an anti-Israel rally on April 17, 2004, in Gaza, Gaza Strip. The Islamic State terrorist group has seized a large shipment of advanced Iranian weapons that were headed to Hamas. Anti-Semitism is alive and well in Europe, and a new poll shows just how prevalent and alarming this toxic view is becoming. In Taiwan, the ruling party has just been dealt a brutal blow by elections, and evidence is emerging that China played a significant role in this Taiwanese election. We also discuss the European Union taking steps toward building a military, the climate-change debate, the game-changing relationship between Russia and China, the resurgence of a highly contagious respiratory disease, and a fascinating archaeological discovery in Israel.